Audley Harrison is a celebrated British boxer who had great success in both the professional and amateur ranks. Fighting throughout his career in the heavyweight division, Audley picked up a number of titles and was involved in some great fights. He was an athletic boxer with great footwork and was celebrated for his speedy combination punching and his damaging left hand. A great personality outside of the ring who has become a real sporting celebrity as a result, Audley often appears on TV and in print media and is in high demand for his boxing knowledge. Born in Brent, London, Audley was a great amateur who quickly shot up through the ranks. He was always dedicated to his sport and in 1998 he got his first taste of real success by picking up a gold medal at the Commonwealth Games in Kuala Lumpur. Just two years later when the Olympic Games went to Sydney he also won plenty of glory. Soon after, Audley set up his own company that brought boxing back to BBC TV in the UK and turned pro in 2001. He shared the ring with many great names and along the way success include the World Federation Championship, becoming European Heavyweight Champion after beating Michael Sprott (despite having only one arm for much of the fight thanks to a torn pec muscle) and he also won an unbeaten two prize fighter victories. 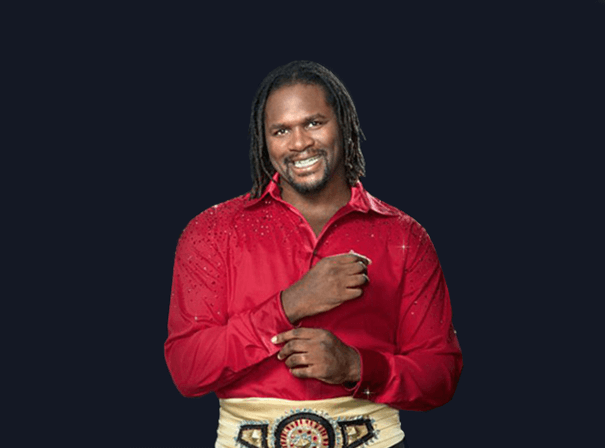 Nicknamed the A Force and determined to battle back from injury when necessary, Audley Harrison is a great sporting star who lights up any event, function or charity dinner with his great tales from the top.